Oldham is a town in Greater Manchester, England, amid the Pennines between the rivers Irk and Medlock, 5.3 miles (8.5 km) south-southeast of Rochdale and 6.9 miles (11.1 km) northeast of Manchester. Together with several smaller surrounding towns, it is part of the Metropolitan Borough of Oldham, population 230,800 as of 2015, of which it is the administrative centre. The demise of textile processing in Oldham depressed the local economy. Today Oldham is a predominantly residential town, and a centre for further education and the performing arts. It is, however, still distinguished architecturally by the surviving cotton mills and other buildings associated with that industry. The town has a population of 103,544 and an area of around 26 square miles (67 km2). The toponymy of Oldham seems to imply "old village or place" from Eald (Saxon) signifying oldness or antiquity, and Ham (Saxon) a house, farm or hamlet. Oldham is however known to be a derivative of Aldehulme, undoubtedly an Old Norse name. It is believed to be derived from the Old English ald combined with the Old Norse holmi or holmr, meaning "promontory or outcrop", possibly describing the town's hilltop position. It has alternatively been suggested that it may mean "holm or hulme of a farmer named Alda". The name is understood to date from 865, during the period of the Danelaw. 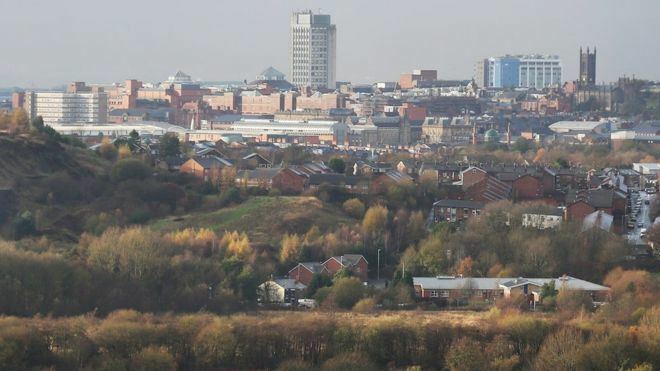 From its founding in the 9th century until the Industrial Revolution, Oldham is believed to have been little more than a scattering of small and insignificant settlements spread across the moorland and dirt tracks that linked Manchester to York. Although not mentioned in the Domesday Book, Oldham does appear in legal documents from the Middle Ages, invariably recorded as territory under the control of minor ruling families and barons. In the 13th century, Oldham was documented as a manor held from the Crown by a family surnamed Oldham, whose seat was at Werneth Hall. Annie Kenney, born in nearby Springhead, and who worked in Oldham's cotton mills, was a notable member of the Suffragette movement credited with sparking off suffragette militancy when she heckled Winston Churchill, and later (with Emmeline Pankhurst) the first Suffragist to be imprisoned. Oldham Women's Suffrage Society was established in 1910 with Margery Lees as president and quickly joined the Manchester and District Federation of the National Union of Women's Suffrage Societies. The Chartist and Co-operative movements had strong support in the town, whilst many Oldhamers protested against the emancipation of slaves. The Riot Act was read in 1852 on election day following a mass public brawl over the Reform Act, and irregularities with parliamentary candidate nominations. 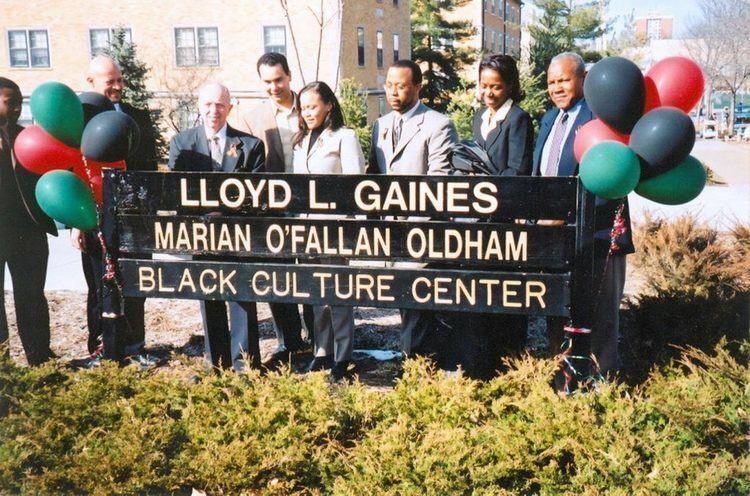 For three days in late May 2001, Oldham became the centre of national and international media attention. Following high-profile race-related conflicts, and long-term underlying racial tensions between local White British and Asian communities, major riots broke out in the town. Occurring with particular intensity in the Glodwick area of the town, the Oldham riots were the worst racially motivated riots in the United Kingdom for fifteen years prior, briefly eclipsing the sectarian violence in Northern Ireland in the media. At least 20 people were injured in the riots, including 15 police officers, and 37 people were arrested. Similar riots took place in other towns in northern England over the following days and weeks. The 2001 riots prompted governmental and independent inquiries, which collectively agreed on community relations improvements and considerable regeneration schemes for the town. There were further fears of riots after the death of Gavin Hopley in 2002. The boundaries of two parliamentary constituencies divide Oldham: Oldham East and Saddleworth, and Oldham West and Royton (which includes the town centre), represented by Labour Members of Parliament Debbie Abrahams and Michael Meacher respectively. At 53°32′39″N 2°7′0.8″W (53.5444°, −2.1169°), and 164 miles (264 km) north-northwest of London, Oldham stands 700 feet (213 m) above sea level, 6.9 miles (11.1 km) northeast of Manchester city centre, on elevated ground between the rivers Irk and Medlock. Saddleworth and the South Pennines are close to the east, whilst on all other sides, Oldham is bound by smaller towns, including Ashton-under-Lyne, Chadderton, Failsworth, Royton and Shaw and Crompton, with little or no green space between them. Oldham experiences a temperate maritime climate, like much of the British Isles, with relatively cool summers and mild winters. There is regular but generally light precipitation throughout the year. In 2011, 77.5% of the Oldham metropolitan borough population were White British, 18.1% Asian and 1.2% Black. While in the town of Oldham, which had a 2011 population of 96,555, 55.4% of the population were White British. Oldham's Old Town Hall is a Grade II listed Georgian neo-classical town hall built in 1841, eight years before Oldham received its borough status. One of the last purpose-built town halls in northwest England, it has a tetrastyle Ionic portico, copied from the temple of Ceres, on the River Ilissos, near Athens. Winston Churchill made his inaugural acceptance speech from the steps of the town hall when he was first elected as a Conservative MP in 1900. A Blue Plaque on the exterior of the building commemorates the event. Long existing as the political centre of the town, complete with courtrooms, the structure has stood empty since the mid-1980s and has regularly been earmarked for redevelopment as part of regeneration project proposals, but none have been actioned. Oldham Roughyeds Rugby League Club was established in 1876 as Oldham Football Club, and Oldham Athletic Association Football Club in 1895 as Pine Villa Football Club. Oldham Athletic have achieved both league and cup successes, particularly under Joe Royle in the 1990s. 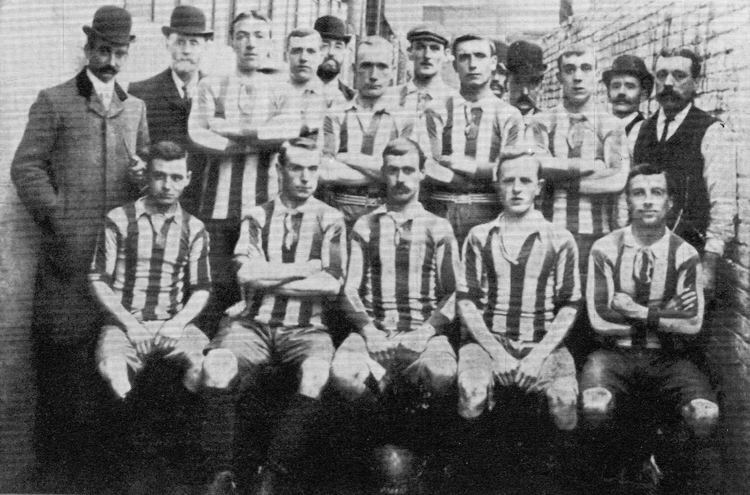 They were Football League runners-up in the last season before the outbreak of the First World War, but were relegated from the Football League First Division in 1923. They reached the Football League Cup final in 1990 and won the Football League Second Division title in 1991, ending 68 years outside the top flight. They secured their top division status a year later to become founder members of the new Premier League, but were relegated after two seasons despite reaching that year's FA Cup semi-finals. They are currently playing in Football League One, the third tier of the English league. John Sheridan was appointed as manager in January 2017. Renamed in 1997 to Oldham Roughyeds, Oldham Rugby League Club has received several club honours during its history, winning the Rugby Football League Championship five times and Challenge Cup three times. They played at Watersheddings for years before joining Oldham Athletic at Boundary Park until 2010 when they moved to Oldham Borough's previous ground, Whitebank Stadium. Oldham has league cricket teams with a number of semi-professional league clubs including Oldham CC, and Werneth CC in the Central Lancashire League. The Royal Oldham Hospital, at Oldham's northern boundary with Royton, is a large NHS hospital administrated by Pennine Acute Hospitals NHS Trust. It was opened under its existing name on 1 December 1989. Formerly known as Oldham District and General, and occupying the site of the town's former workhouse (named Oldham Union Workhouse in 1851), the hospital is notable for being the birthplace of Louise Joy Brown – the world's first successful In vitro fertilised "test tube baby", on 25 July 1978. The North West Ambulance Service provides emergency patient transport. See also Healthcare in Greater Manchester. During the 19th century the circus was a popular entertainment in Oldham; Pablo Fanque's circus was a regular visitor, filling a 3,000-seat amphitheatre on Tommyfield in 1869. Criticised for its lack of a cinema, there are plans to develop an "Oldham West End". Oldham has a thriving bar and night club culture, attracting a significant number of young people into the town centre. Oldham's "hard binge drinking culture" has been criticised however for conveying a negative regional image of the town. Oldham's museum and gallery service dates back to 1883. Since then it has established itself as a cultural focus for Oldham and has developed one of the largest and most varied permanent collections in North West England. The current collection includes over 12,000 social and industrial history items, more than 2,000 works of art, about 1,000 items of decorative art, more than 80,000 natural history specimens, over 1,000 geological specimens, about 3,000 archaeological artefacts, 15,000 photographs and a large number of books, pamphlets and documents. People from Oldham are called Oldhamers, though "Roughyed" is a nickname from the 18th century when rough felt was used in Oldham to make hats. de Edward Potts was a renowned architect who moved to Oldham from Bury. He was the architect for fourteen mills in the Oldham area. Notable media personalities from Oldham include presenter Nick Grimshaw, actors Eric Sykes, Bernard Cribbins and Christopher Biggins, TV host Phillip Schofield, actress Shobna Gulati, actress/comedian Dora Bryan, actress Ann Kirkbride physicist and science educator Professor Brian Cox, and comedy double act Tommy Cannon and Bobby Ball.